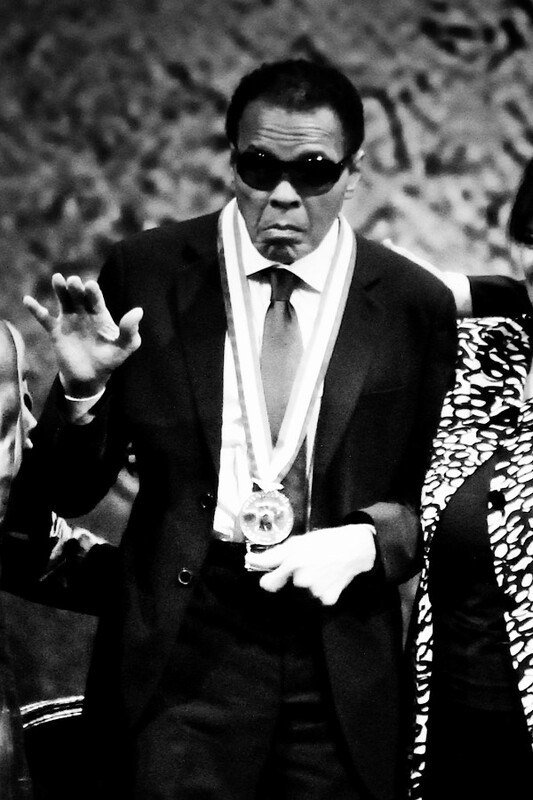 Forget boxing, Muhammad Ali is one of the most significant cultural figures of the 20th Century. He is more than just ‘the greatest’ boxer the sport has ever known, he is a cultural game-changer. His words and actions triggered a seismic shift in public opinion about race and religion and war throughout this country and, for that matter, the world. Some would argue that he doesn’t deserve such an honor. That he was too brash, too arrogant, too divisive. That he was unpatriotic because he refused to serve in Vietnam. His unwillingness to bend or surrender his constitutional rights to freedom of speech and freedom of religion cost him three and a half prime years of his boxing career. It also made him a transformational figure that inspired countless people and sparked change during one of the most tumultuous times in this American life. Besides being the most feared and admired competitor in any arena ever, he was also funny as hell. He raised braggadocio to the realm of poetry and backed up his words with his fists. In other words, he is our kind of guy so it was only fitting that last night Ali received the 2012 Liberty Medal in a short but emotional ceremony at the National Constitution Center. Ali received tributes from numerous dignitaries and athletes, but the two most moving tributes were from former NBA star and Sixer Dikembe Mutombo who described how Ali’s bouts in the Congo inspired him to rise above the strife in his country and find his way to America and Joe Louis Barrow II, the son of boxing legend Joe Louis, who told a story of how Ali comforted him with love and a magic trick on the day he buried his father. This entry was posted on Friday, September 14th, 2012	at 2:16 am	and is filed under News	. Responses are currently closed, but you can trackback from your own site.